The state insurance department sent a letter to insurance companies notifying them they are not to cancel or non-renew any policies for homeowners who file claims for coverage because they have a crumbling foundation. The move is in response to concerns voiced by many homeowners and their attorneys. One homeowner complained to the Department of Consumer Protection that their insurance company was dropping them at renewal because they had an issue with their home's foundation. In the course of an NBC Connecticut Troubleshooters investigation starting in July, homeowners have said they are scared to file a claim because of the risk of losing insurance. 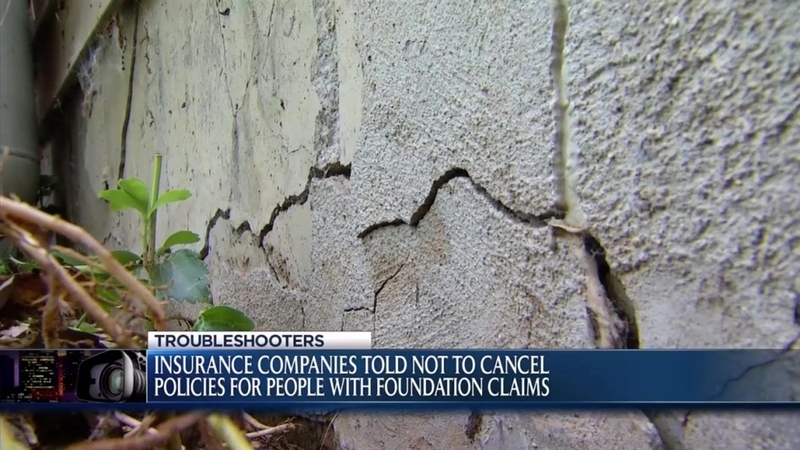 Homeowners and attorneys tell NBC Connecticut their claims get denied, at times without the insurance company seeing the failing concrete basement walls. The Department of Consumer Protection released a brochure to help homeowners with the issue. The department is warning homeowners to beware of any potential repair scams. The Department of Consumer Protection and Attorney General’s office is conducting a civil demand investigation into the problem affecting at least hundreds of homes in northeast Connecticut.